Who doesn’t like to leave the office and grab lunch with friends and co-workers? Although the Loop is busting with chain restaurants (Native Foods, Hannah’s Bretzel, and Chipotle are some of my go-to spots), it’s nice to go somewhere new every once in a while. 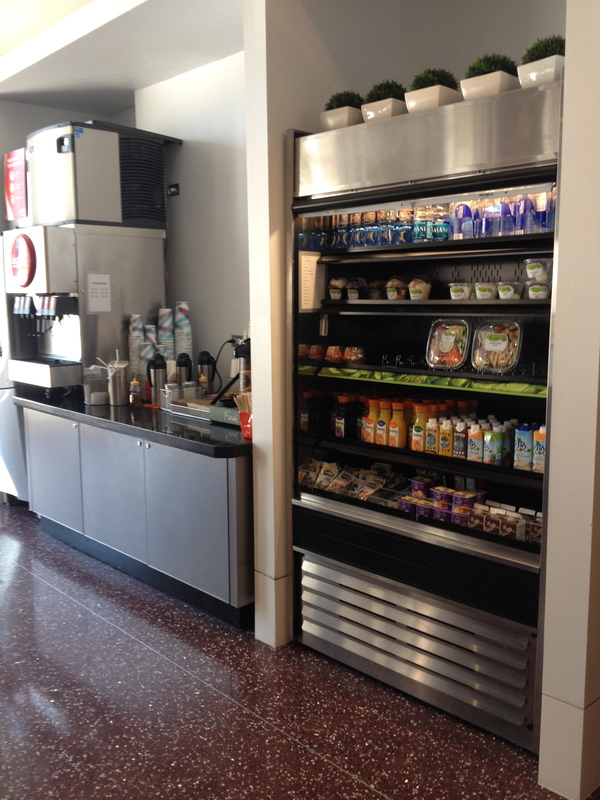 This is where the new Cityfront Café at NBC Tower enters the mix. My cousin, Rob, is the executive chef there, and they serve up tasty, fresh, made-to-order options. 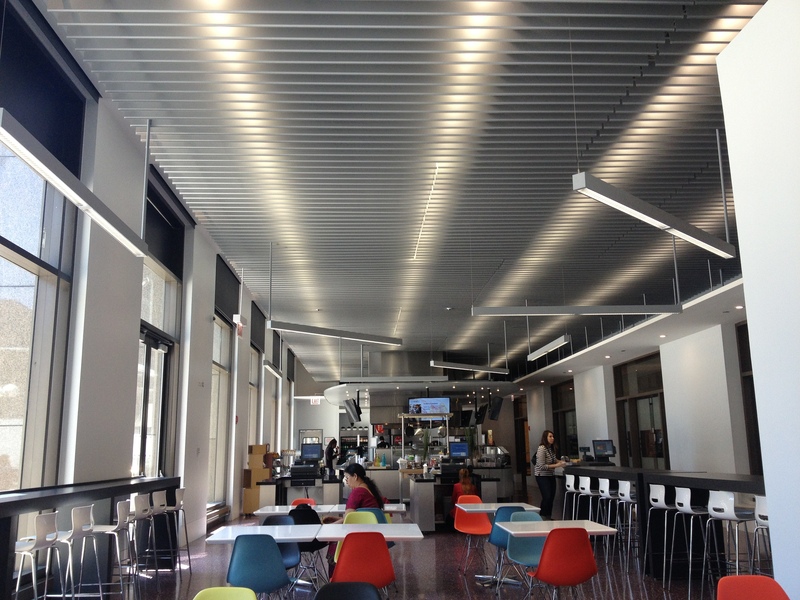 The space is modern and, most importantly, very clean. 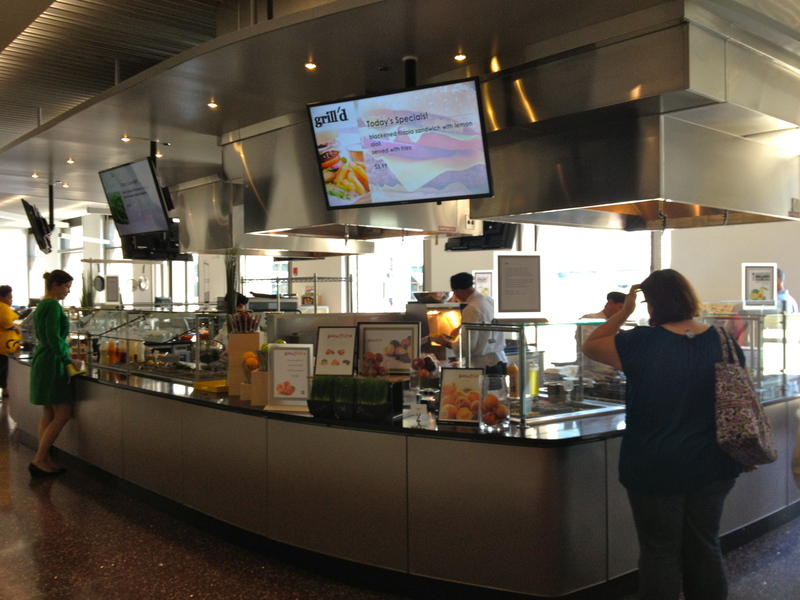 The café is made up of different stations—the grill, salad bar, sushi bar, soups, etc.—as well as pick-up-and-go foods for those who are short on time. I recently had lunch with my family there—my brother, my Auntie from San Francsico, my cousin Merry (Rob’s wife), and their adorable baby Katelyn. I’m not going to lie, this is my second time visiting, so I’ve actually had two positive experiences. 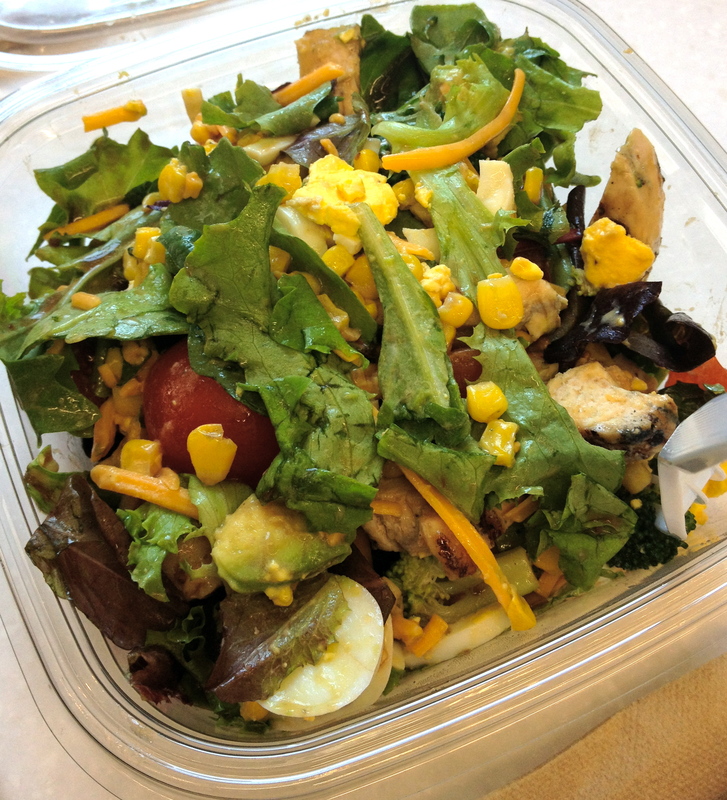 My first time, I had the salad special, which was a Southwest salad with chicken, peppers, pico de gallo, jicama, as well as one of Rob’s rich Rice Krispie treats—all fresh and delicious. 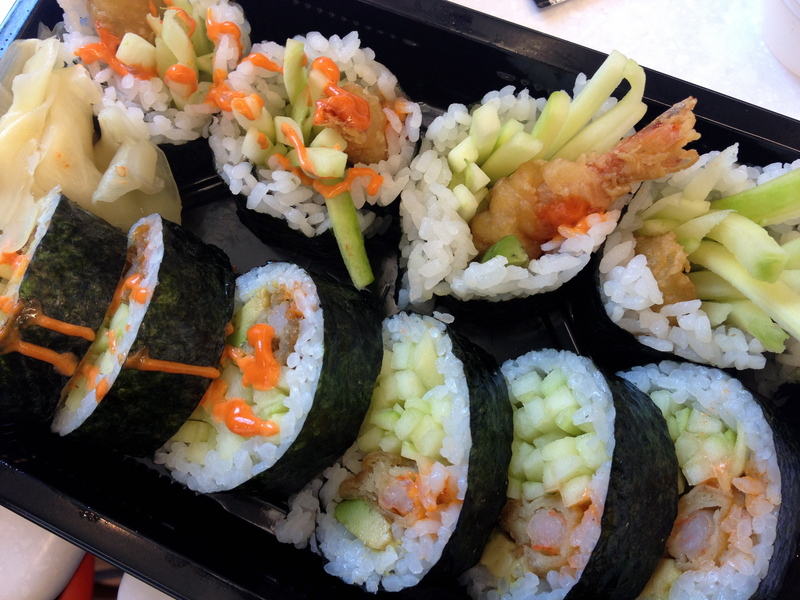 This time I tried the tempura shrimp sushi rolls and edamame. I’m pretty weary about prepared sushi, but with quality ingredients and the sweetest little Asian woman making the sushi right in front of you, you can’t really go wrong. 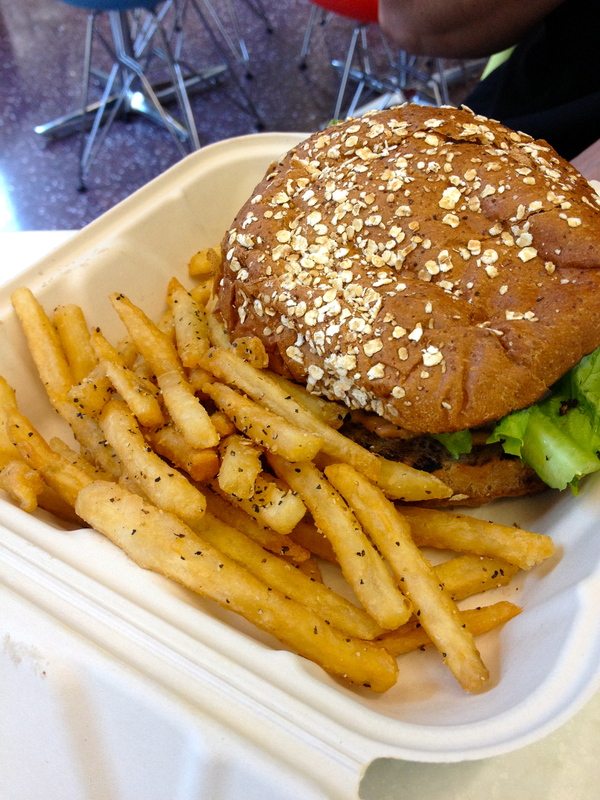 My brother had a turkey burger with fries (one of his favorites because he works in the building), and the girls had salads, which you can see below. They have plenty of seating inside and outside to enjoy your meal. And, if you keep an eye out, you might see some of the NBC news talent, like Andy Avalos and Mary Ann Ahern (like me). I should also mention that they have Chicago’s only Espressamente illy café next door, with some of the finest coffee you will find. (Sorry, Starbucks!) Now, I’m not really a coffee gal, but I tried a blended coffee drink with a dash of caramel there that started a full-blown coffee addiction. The desserts look pretty amazing too. 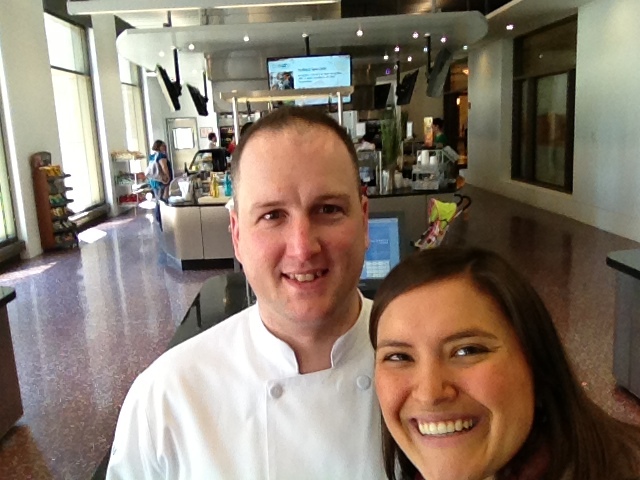 Next time you need a new place to lunch in the Loop, try the Cityfront Café at NBC—and tell Rob I sent you!